Nurture your skin with a concentrated, water-free body treatment in four intoxicating fragrances, or unscented. Herbal Body Lotion Lavenderis the ultimate remedy for dry skin.The rich water-free formula relieves skin of dryness, irritation and flakiness, hours after other lotions have worn off. 70% Organic Ingredients! 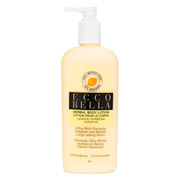 This is an ultra, water-free, all pro-active ingredients lotion. The best there is! It helps protect the skin against environmental stress and environmental aging by keeping it's natural moisture barrier supple. Not only does it relieve dry skin and keep it smooth and touchable for hours, the scent is intoxicating! Apply liberally over entire body to restore moisture. For best results, use daily. Lemon Verbena Herbal Body Lotion - is shipped in a discrete, unmarked package. Orders are processed immediately and usually take about 3 to 5 working days to be received. We do ask that you try it for 2 to 3 weeks to feel the full effects. Any information received is used only for order processing and shipping purposes. Your information, such as e-mail address, will never be disclosed to a third party.